Across the board, businesses face a massive explosion of data which can be directly attributed to—if not the only cause—the proliferation of connected devices. In light of this, companies are focusing on the need to be more proactive, and to that end, are adopting a multi-pronged approach to defend themselves against any kind of attack that may originate due to the expanse of the enterprise network. Enter BGS, an SBA-certified 8(a) small disadvantaged business (SDB), which is a company that aims to provide resources and tools to manage a broad spectrum of data and IT-related challenges for enterprises. 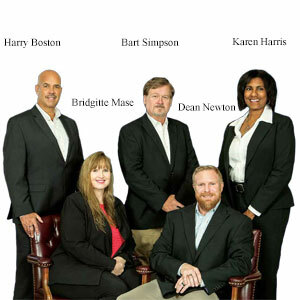 “In essence, we are a ‘solutions’ company; we align with the client’s needs, understand their precise requirements—be it operational cybersecurity, enterprise IT services, integration and automation, or compliance—and then craft a solution based on that,” says Harry Boston, the President of BGS. With myriad devices on complex infrastructures like ICS-SCADA and IoT needing to be connected to the internet, BGS’ mission is to ensure that all these devices are monitored properly without impacting the operational integrity and availability of the system. Consequently, the potential for security through obscurity is out of the picture and organizations are faced with securing very old technologies that were intended to last but without key security concepts in the design. Devices built to perform minor tasks are now internet enabled and often without the security considerations in their design, leaving businesses with the challenge of protecting data and assets in an extremely accessible environment. “BGS approaches this predicament by establishing an action plan to address gaps in compliance through GAP analyses and cybersecurity assessments and introduce industry best practices,” asserts Bridgitte Mase, the Director of Enterprise & Operational Cybersecurity at BGS. “We then provide qualified resources to complete the actions.” By utilizing a defense-in-depth approach, the company’s cyberprogram performs risk management and continuous monitoring processes ensuring that their clients’ systems are secured. In one instance, BGS worked in partnership with the U.S. Department of Energy (DOE) and successfully updated and consolidated their legacy systems into an enhanced virtualized cloud platform, dubbed ATLAS. A perfect example of the company’s proficiency in dealing with complex enterprise IT-related requirements, ATLAS is a modular system that integrates various tasks and functions performed by the DOE and its contractors, such as packaging and transportation of general, hazardous, and radioactive materials. ATLAS ensures compliance of shipments with applicable federal, state, and local regulatory requirements by standardizing and simplifying common shipment information, such as bills of lading, freight bills, rate structures, and hazardous materials documentation. “We presented the DOE with an enterprise application which incorporated federal and contractor stakeholder input to drive efficiencies in their transportation business processes,” says Dean Newton, Director of Enterprise Solutions. When it comes to business integration and automation, customizing the solutions to support and enable clients’ ongoing processes rather than forcing them to adapt their business processes to support the technology is one of BGS’ unique selling points. “Our architects analyze data sources and flows and then design solutions, such as robust and scalable repositories or data warehouses using standard software tools already available to the client,” says Bart Simpson, the Director of IT & Business Integration at BGS. He recounts the client success story where his team identified data transformation opportunities and defined a strategy to replace the manual tasks that were being performed using MS Excel and other tools. This considerably improved the accuracy, timeliness, availability, and flexibility of the system by eliminating the chances of rework along with a reduction in cost. BGS also provided customized management dashboards and reporting portals as a single point of access to support management and business decisions. The BGS team is proficient in cyber experience dealing with all information types—from classified to open research—and has facilitated the secure movement of data across protection zones. They offer experienced cyber resources supporting ICS and IoT devices including critical infrastructure devices. BGS also delivers policies, procedures, and plans; support scanning, testing, and evaluation activities; provide incident response and reporting; conduct mission impact assessments, contingency planning, risk management functions, and continuous monitoring. BGS has a firm grasp in the technical services business line with a focus on nuclear engineering and security, and project management solutions. “Our nuclear engineering and security service channels include safety, safeguards, and security, specialized design engineering, and facility operations. The nuclear engineering and security aspect brings a strong technical foundation to our organization,” addsBoston. Looking ahead, BGS is planning to expand into adjacent markets, such as serving the U.S. Department of Defense and the Intelligence Community. The company is currently focusing on business intelligence and the adoption of targeted AI to enable end-users to make informed decisions based on refined and quality data, and access to information with respect to changing conditions.